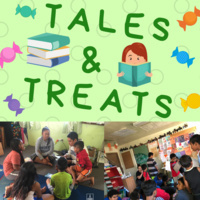 Tales and Treats is one of the service learning programs at Chaminade University of Honolulu where school clubs (Micronesian, Samoan, and Marianas Club) work in collaboration with the Hawaii Literacy Program to teach low income housing children in Honolulu to gain knowledge and skills of literacy as well as provide lifelong learning services and opportunities so that the children along with the parents can consider pursuing a higher education. All volunteers meet at 8:00am at the Clarence T.C. Ching Hall. Transportation is provided and carpool is encouraged. Please contact Maimoa Fineisaloi at mfineisa@chaminade.edu for more information.